Excellent service! 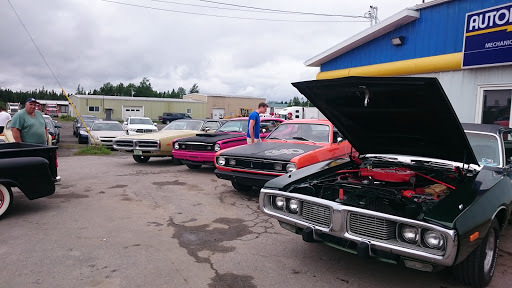 This is a long overdue thank-you to the staff and mechanics at M&R Automotive in Gander, NL. We were driving from Port aux Basques in early January at the end of a trip from Ontario that was already extended several days by truck trouble and ferry cancellations when the leaf spring on our trailer broke near Gander. M&R Automotive jumped into action to source a part and fix our trailer so we could get back on the road and get home to St. Johns without spending yet another night in a hotel. Give this company your business. Theyre a great bunch! As far as mechanics go, M&R is top notch. They are honest, affordable and trustworthy. Based on experience, I prefer to take my vehicle to M&R instead of the dealership (and not because of the cost factor of dealerships). The work is always done right the first time and they never try to sell anything you dont need. The team there is also invested in helping the community by supporting fundraisers and other intitiatives, which is another evidence of their integrity. In my opinion, they are the best mechanic shop in Gander. On holiday from Manitoba and had truck problems. Although their shop was busy, they fixed the truck and got me back on the road with in a few hours. Thank you! Great shop. Efficient and honest. I trust M&R with all of my auto needs! Great bunch of guys who know how to work on the classic cars.